Argentina Business - Economic, business, international trade, investing, law, statistical information and data, travel and other information about doing business in Argentina. Asia-Pacific Economic Cooperation (APEC) - Promotes open trade and practical economic cooperation in Asian-Pacific economies. British Association for Fair Trade Shops (BAFTS) - A network of independent fair trade shops across the UK. Promotes fair trade retailing in the UK. Bureau of Industry and Security (BIS) - U.S. agency that regulates the export of sensitive goods and technologies; enforces export control, antiboycott, and public safety laws; cooperates with and assists other countries on export control and strategic trade issues; assists U.S. industry to comply with international arms control agreements; and monitors the viability of the U.S. defense industrial base to ensure that it is capable of satisfying U.S. national and homeland security needs. BuyUSA.gov - U.S. Commercial Service of the U.S. department of Commerce provides help navigating international trade. Also visit the Export.gov Trade Portal. Canada-European Comprehensive Economic and Trade Agreement (CETA) - It's barely about trade at all - and they are negotiating behind closed doors. The Harper government sees CETA as a way to further deregulate and privatize the Canadian economy while increasing corporate power and undermining our democratic options for the future. Also see Wikipedia. Center for International Trade and Security - A non-profit organization affiliated with the University of Georgia and devoted to research, teaching and outreach on trade, technology and security issues. CETIM - A critic of financial and trade institutions (International Monetary Fund, World Bank, World Trade Organisation) as well as the dominant role of multi- or transnational corporations: A primary concern of the CETIM is the search for alternatives capable of ensuring the survival and development of the majority of the countries of the South. These countries are faced with a dominant model that clearly disadvantages them, whether economically (e.g. the inappropriateness of world production to basic economic and social needs, the vicious cycle of the third-world debt), by damaging the social fabric (e.g. unemployment, the dismantling of social welfare systems), ecologically (e.g. deforestation, pollution), or by threatening their culture (e.g. standardisation and loss of cultural identity). The growing marginalisation of regions like sub-Saharan Africa, considered by the industrialised world as possessing no strategic value, is also profoundly worrying. Chamber of Commerce - Complete worldwide search engine for Chambers of Commerce and Convention and Visitors Bureaus on the Internet. Search options include: American Chambers of Commerce Abroad, Canadian Chambers of Commerce, City and State Chambers of Commerce, Congress, Economic Development Organizations, Foreign & Ethnic Chambers in the U.S., Foreign Chambers of Commerce, Foreign Embassies In The U.S., Foreign Tourist Information Bureaus, State Boards of Tourism, Travel Planning: Convention & Visitors Bureaus, U.S. Embassies. CISG and International Commercial Law Database - The CISG is the United Nations Convention on Contracts for the International Sale of Goods, the uniform international sales law of countries that account for three-quarters of all world trade. The CISG Database reflects a collaborative effort between the Institute of International Commercial Law and the Pace Law Library. For guidance using this database, see Guide to the Pace Database on the CISG and International Commercial Law. Coalition of Service Industries (CIS) - Business organization dedicated to the reduction of barriers to US services exports, and to the development of constructive domestic U.S. policies, including tax policies, that enhance the global competitiveness of its members. Common Frontiers - A multi-sectoral working group which confronts, and proposes an alternative to, the social, environmental and economic effects of economic integration in the Americas. Consuming Industries Trade Action Coalition (CITAC) - American manufacturers of a wide variety of products, farmers, retailers and others seeking to ensure that trade relief is implemented only after adequate consideration of, and with minimum disruption to, U.S. consuming industries. Cooperative Coffees - A green coffee importing cooperative committed to supporting and partnering with small-scale coffee farmers and their exporting cooperatives. Department of Foreign Affairs and International Trade (Canada) - Extensive information on Canadian trade, trade negotiations, regional and bilateral agreements, export and import controls, and more. Electronic Library on International Trade Law and the CISG - Pace Law School's database on the CISG and International Commercial Law. The CISG is the United Nations Convention on Contracts for the International Sale of Goods, the uniform international sales law of countries that account for two-thirds of all world trade. ENTERWeb: Marketing and International Trade - Lists and rates electronic resources related to export development, global markets and international trade. Equal Exchange - Working to create a new approach to trade, one that includes informed consumers, honest and fair trade relationships and cooperative principles. As a worker-owned co-op, Equal Exchange accomplishes this by offering consumers fairly traded gourmet coffee direct from small-scale farmer co-ops in Latin America, Africa and Asia. European Commission: Trade - The common trade policy of the European Union. The EU has specific trade policies in place for all its partners and abides by the global rules on international trade set out by the World Trade Organisation. See Countries and Regions page. European Commission Taxation and Customs Union - Disseminate information on the Commission's work in the areas of taxation and the customs union, policy fields that contribute to the promotion of growth and development as well as to the competitiveness of EU businesses. Export.gov - U.S. government export portal providing access to all export-related information offered by the federal government. Export-Import Bank of the U.S. (EXIM) - Provides assistance in financing and facilitating U.S. imports and exports. Expose the TPP - The Trans-Pacific Partnership: n. 1. A "free trade" agreement that would set rules on non-trade matters such as food safety, internet freedom, medicine costs, financial regulation, and the environment. 2. A binding international governance system that would require the United States, Australia, Brunei, Canada, Chile, Japan, Malaysia, Mexico, New Zealand, Peru, Singapore, Vietnam, and any other country that signs on to conform their domestic policies to its rules. 3. A secret trade negotiation that has included over 600 official corporate "trade advisors" while hiding the text from Members of Congress, governors, state legislators, the press, civil society, and the public. Eyes on Trade - Public Citizen's blog on globilization and trade. Fair Trade - Wikipedia article. Fair trade is an organized social movement which promotes standards for international labour, environmentalism, and social policy in areas related to production of Fairtrade labeled and unlabelled goods. The movement focuses in particularly on exports from developing countries to developed countries. Fair trade's strategic intent is to deliberately work with marginalised producers and workers in order to help them move from a position of vulnerability to security and economic self-sufficiency. It also aims at empowering them to become stakeholders in their own organizations and actively play a wider role in the global arena to achieve greater equity in international trade. Fair Trade Coffee (Global Exchange) - The United States consumes one-fifth of all the world's coffee, making it the largest consumer in the world. But few Americans realize that agriculture workers in the coffee industry often toil in what can be described as "sweatshops in the fields." Many small coffee farmers receive prices for their coffee that are less than the costs of production, forcing them into a cycle of poverty and debt. Fair Trade Federation - An association of fair trade wholesalers, retailers, and producers whose members are fully committed to providing fair wages and good employment opportunities to economically disadvantaged artisans and farmers worldwide. Fair Trade USA - Third-party certifier of fair trade practices in the United States. Fairtrade Labelling Organizations (FLO) - Worldwide fairtrade standard setting and certification organisation. It permits more than 800,000 producers and their dependants in more than 40 countries to benefit from labelled Fairtrade. FLO guarantees that products sold anywhere in the world with a Fairtrade label marketed by a National Initiative conforms to Fairtrade Standards and contributes to the development of disadvantaged producers. Federation of International Trade Associations (FITA) - Fosters international trade by strengthening the role of local, regional, and national associations throughout the U.S., Mexico and Canada that have an international mission. 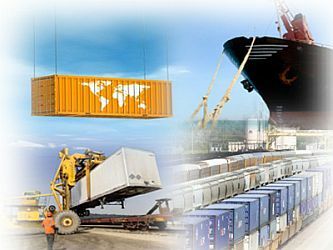 This site provides more than 3000 links to international trade/import-export websites. Federation of International Trade Associations (FITA) - A network of 300,000 companies belonging to 300 international trade associations in the U.S.A, Canada, and Mexico. Foreign Corrupt Practices Act (FCPA) - Designed to prohibit the corrupt use of the mails or other means and instrumentalities of interstate commerce by U.S. corporations, directly or indirectly, to bribe foreign officials, foreign political parties, or candidates for foreign political office. Foreign Trade - Maintained by the U.S. Census Bureau. The official source for U.S. export and import statistics and responsible for issuing regulations governing the reporting of all export shipments from the United States. If you're searching for import or export statistics, information on export regulations, commodity classifications, or a host of other trade related topics, this is the place to get the information you need. Free Trade Area of the Americas (FTAA) - An effort to unite the economies of the Western Hemisphere into a single free trade arrangement. Providing technical assistance to the process has been the Tripartite Committee, which consists of the Inter-American Development Bank (IDB), the Organization of American States (OAS) and the United Nations Economic Commission for Latin America and the Caribbean (ECLAC). Giraldilla - Trade and policy intelligence about Cuba and U.S.-Cuba commercial and political relations. Global Competition Forum (GCF) - International trade law: national competition authorities and international organisations, articles, speeches, and commentary by experts in competition law enforcement, regulation and reform. Global Trade Law - Directory provided by Hieros Gamos. Global Trade Watch - A leader in promoting a citizen's perspective on an array of globalization issues, including implications for health and safety, environmental protection, economic justice, and democratic, accountable governance. Global Trade Watch (GTW) - From Public Citizen. GTW's mission is to ensure that in this era of globalization, a majority have the opportunity to enjoy economic security, a clean environment, safe food, medicines and products, access to quality affordable services such as health care and the exercise of democratic decision-making about the matters that affect their lives. Hong Kong Trade Development Council - Trade and business information on Hong Kong and China, online trade enquiry, trade fair registration, order research and product publication. IMEX Exchange - Dedicated to promoting international trade on the Internet, and through international trade, cooperation and understanding among nations and people. Import Price Indexes (MPI) and Export Price Indexes (XPI) - Data on changes in the prices of nonmilitary goods and services traded between the U.S. and the rest of the world. Information Technology Agreement - WTO provides this page with information and resources links on the ITA, its mandate and implementation. The ostensible The aim of the treaty is to lower all taxes and tariffs on information technology products by signatories to zero. Institute for Agriculture and Trade Policy (IATP) - In the mid-1980s, family farmers across America were in the fight of their lives. Prices had dropped below the cost of production. Family farmers were told they were inefficient and they had to either get big or get out. Deeply flawed national and international policies were the root cause of the crisis. A galvanizing effort to save the family farm helped spawn the IATP. In 1986, IATP began documenting the underlying causes of America's rural crisis and proposing policies that would benefit farmers, consumers, rural communities and the environment. International Centre for Trade and Sustainable Development (ICTSD) - Established in Geneva in September 1996 to influence the international trade system such that it advances the goal of sustainable development. International Economic Law and Policy Blog - Trade issues. International Trade Administration (ITA) - Information about all U.S. Federal Government export assistance programs, general export counseling, and country and regional market information. International Trade/Import-Export Portal - Official Web site of the Federation of International Trade Associations (FITA). FITA fosters international trade by strengthening the role of local, regional, and national associations throughout the U.S., Mexico and Canada that have an international mission. International Trade Data System (ITDS) - A U.S. federal government information technology initiative facilitating information processing for businesses and over 100 federal agencies involved in international trade. International Trade Instruments, Treaties, Conventions, Model Laws - Provided by Lex Mercatoria. International Trade Law - Information on international commercial law. International Trade - Resources and overview provided by Cornell Law School. International Trade Union Confederation (ITUC) - The main international trade union organisation, representing the interests of working people worldwide. Main areas of activity include: 1) trade union and human rights; 2) economy, society and the workplace; 3) equality and non-discrimination; and 4) international solidarity. Least Developed Countries Report - Assesses the relationship between international trade and poverty within the LDCs, and identifies national and international policies that can make trade a more effective mechanism for poverty reduction in these countries. Prepared by the Secretary-General of UNCTAD. Lex Mercatoria - Primary areas of interest include international commercial law and international trade law, and electronic commerce and net technologies, with additional coverage of international environmental law, the bio-sciences, international criminal law. Provides information and links related to international commerce and trade law. Presents the full texts and where relevant country implementation details of several of the most important conventions and other documents used in international trade and commerce. Market Access and Compliance (MAC) - Aims to obtain market access for American firms and workers and to achieve full compliance by foreign nations with trade agreements they sign with the U.S. Part of the U.S. Department of Commerce. NAFTA - Full text, overview, and resources on the North American Free Trade Agreement (NAFTA). NAFTA Customs Website - Provides NAFTA and customs related information useful to both novice and experienced importers, exporters, producers and manufacturers. National Foreign Trade Council (NFTC) - Business organization advocating a rules-based world economy. Founded in 1914 by a group of American companies that supported an open world trading system, the NFTC and its affiliates now serve more than 300 member companies through offices in Washington and New York. Leveraging its broad membership, expertise and influence, the NFTC is the only national business organization that exclusively advocates the international and public policy priorities of its members. National Law Center for Inter-American Free Trade - Comparative legal and transactional studies of the laws, practices and attitudes among countries of the Western Hemisphere desiring to participate in free trade areas. OFAC IQ - A web-based product solution designed specifically for providing a means to comply with the regulatory requirements administered by the Department of the Treasury's Office of Foreign Assets Control (OFAC). The OFAC administers and enforces economic and trade sanctions based on U.S. foreign policy and national security goals against targeted foreign countries, terrorists, international narcotics traffickers, and those engaged in activities related to the proliferation of weapons of mass destruction. Organisation for Economic Co-operation and Development (OECD) - The OECD groups 34 member countries sharing a commitment to democratic government and the market economy. With active relationships with some 70 other countries, NGOs and civil society, it has a global reach. OECD publications are a prime vehicle for disseminating the Organisation's intellectual output. OECD publishes regular outlooks, annual overviews and comparative statistics. Going for Growth - Presents comparative indicators and evaluations of national performance. OECD Economic Outlook - Assesses prospects for member and major non-member economies. OECD Economic Surveys - Provides individual national analyses and policy recommendations. OECD Factbook - A key reference tool for everyone working on economic and policy issues. Our World is Not for Sale (OWINFS) - A loose grouping of organizations, activists and social movements worldwide fighting against the current model of corporate globalization embodied in global trading systems. OWINFS is committed to a sustainable, socially just, democratic and accountable multilateral trading system. Oxfam - A development, advocacy and relief agency working to put an end to poverty world-wide. Oxfam believes that poverty is not inevitable: it can be tackled, and must be ended. In partnership with local groups, Oxfam works with poor people to help them help themselves. Trade can be a powerful engine for poverty reduction. But rigged trade rules and double standards too often mean it now hurts poor people's livelihoods. Oxfam works with organisations around the world to shift global trade rules so they start to work for poor people and communities as well as rich. Peoples' Global Action - A worldwide coordination network of resistance to the global market. Preferential Trade Arrangements (PTAs) - This database contains information on the preferential trade arrangements (PTAs) that are being implemented by WTO Members. The database was established as an outcome of the decision establishing the Transparency Mechanism for PTAs. Really Useful International Trade Sites - A bi-weekly newsletter reviewing useful Web sites from the web resources database at FITA's International Trade/ Import-Export Portal. Past issues are archived. Roadmap to Responsible Export Controls: Learning from the Past - Underdeveloped or unenforced export controls lead to the illicit export of sensitive nuclear or nuclear-related equipment, materials, or technology. To prevent nuclear proliferation, states must maintain effective and ever improving export controls. The purpose of export controls is to limit the ability of unauthorized users to obtain unlawful commodities. To minimize exploitation of the system, loopholes in laws and regulations need to be eliminated, corporate internal compliance systems must be improved, and vigilance and political support has to be sustained. The audience for this information is primarily those who are establishing or seeking to improve export controls systems in companies or governments. It is useful to officials and scientists in private companies and nuclear facilities that sell sensitive items, officials from nuclear facilities that are seeking to implement nuclear export controls, government officials, customs officials, members of the academic community, other experts, and the public. SICE - This is the Foreign Trade Information System (SICE for shortened from its Spanish acronym Sistema de Información al Comercio Exterior, the information technology arm of the Trade Unit of the Organization of American States (OAS). Provides information and documents on trade in the Western Hemisphere, including articles, data, and official treaties and trade agreements. Trade and Development Centre - Run jointly by the World Trade Organization and the World Bank Institute, under a programme called Information Technologies for Development (ITD). Information, analysis and comment on trade issues and events, trade and development forums, and training courses. Trade Compliance Center (TCC) - U.S. Government's one-stop shop to help American exporters facing foreign trade barriers and to assure that foreign countries comply with their trade commitments. Trade-Related Aspects of Intellectual Property Rights (TRIPS) - Information on intellectual property in the WTO, news and official records of the activities of the TRIPS Council, and details of the WTO's work with other international organizations in the field. TradePort - Comprehensive trade information, trade leads, and company databases. Traidcraft - Fighting poverty through trade. Trans-Pacific Partnership (TPP) - A stealthy policy 'free trade' agreement being pressed by corporate America, a dream of the 1 percent. See Public Citizen. Transatlantic Trade Invesment Partnership (TTIP) - A proposed free trade agreement between the European Union (EU) and the United States. Proponents say the agreement would result in multilateral economic growth, while critics say it would increase corporate power and make it more difficult for governments to regulate markets for public benefit. Also see Wikipedia. U.N. Commission on International Trade Law (UNCITRAL) - Core legal body within the United Nations system in the field of international trade law. UNCITRAL was tasked by the General Assembly to further the progressive harmonization and unification of the law of international trade. U.N. Conference on Trade and Development (UNCTAD) - UNCTAD is the focal point within the United Nations for the integrated treatment of trade and development and the interrelated issues in the areas of finance, technology, investment and sustainable development. U.N. Department of Economic and Social Affairs Statistics Division - Statistical outputs and services for producers and users of statistics worldwide. U.S.-Canada Softwood Lumber Dispute (Wikipedia) - The heart of the dispute is the claim that the Canadian lumber industry is unfairly subsidized by the federal and provincial governments. Specifically, most timber in Canada is owned by provincial governments. The price charged to harvest the timber (the "stumpage fee") is set administratively rather than through a competitive auction, as is often the practice in the United States. The United States claims that the provision of government timber at below market prices constitutes an unfair subsidy. Comparing the prices of different species of timber in Canada and the United States, it does appear that Canadian timber prices are significantly lower for comparable species of trees in the United States. Under U.S. trade remedy laws, foreign goods benefiting from subsidies can be subject to a countervailing duty tariff to offset the subsidy and bring the price of the product back up to market rates. The Canadian government and lumber industry disputes the assertion that its timber is subsidized on a variety of bases, including that the timber is provided to so many industries that it cannot be considered sufficiently specific to be a subsidy under U.S. law. Under U.S. trade remedy law, a subsidy to be countervailable must be specific to a particular industry. This requirement precludes imposition of countervailing duties on government programs, such as roads, that are meant to benefit a broad array of interests. U.S.-Central American Free Trade Agreement (CAFTA) - On August 5, 2004, the United States signed the Dominican Republic-Central America-United States Free Trade Agreement (CAFTA-DR) with five Central American countries (Costa Rica, El Salvador, Guatemala, Honduras, and Nicaragua) and the Dominican Republic. The CAFTA-DR is the first free trade agreement between the United States and a group of smaller developing economies. This agreement is creating new economic opportunities by eliminating tariffs, opening markets, reducing barriers to services, and promoting transparency. It is facilitating trade and investment among the seven countries and furthering regional integration. U.S. Census Bureau: Foreign Trade - The official source for U.S. export and import statistics and responsible for issuing regulations governing the reporting of all export shipments from the United States. If you're searching for import or export statistics, information on export regulations, commodity classifications, or a host of other trade related topics, this is the place to get the information you need. U.S. Committee on Foreign Investments in the United States (CFIUS) - The Exon-Florio provision is implemented by the Committee on Foreign Investment in the United States (CFIUS), an inter-agency committee chaired by the Secretary of Treasury. CFIUS seeks to serve U.S. investment policy through thorough reviews that protect national security while maintaining the credibility of our open investment policy and preserving the confidence of foreign investors here and of U.S. investors abroad that they will not be subject to retaliatory discrimination. U.S. Court of International Trade - Provides judicial review of administrative actions of U.S. government agencies dealing with importations. The court has a residual grant of exclusive jurisdictional authority to decide any civil action against the U.S., its officers, or its agencies arising out of any law pertaining to international trade. U.S. Custom and Border Protection (CBP) - Unified border agency of the United States. Also see CROSS, the Customs Rulings Online Search System. U.S. Department of Commerce - Supports the development, gathering and transmitting of information essential to competitive U.S. business. U.S. International Trade Administration (ITA) - Works with industry to support U.S. exports. U.S. International Trade Commission (USITC) - USITC analysts and economists publish reports on U.S. industries and global trends affecting them. The agency also publishes the Harmonized Tariff Schedule of the U.S. Also see Trade Remedy Investigations and USITC Interactive Tariff and Trade DataWeb pages. U.S. Meat Export Federation - A non-profit trade association working to create new opportunities and develop existing international markets for U.S. beef, pork, lamb and veal. U.S. Office of Foreign Assets Control (OFAC) - U.S. Department of Treasury agency administers and enforces economic and trade sanctions based on US foreign policy and national security goals against targeted foreign countries, terrorists, international narcotics traffickers, and those engaged in activities related to the proliferation of weapons of mass destruction. OFAC acts under Presidential wartime and national emergency powers, as well as authority granted by specific legislation, to impose controls on transactions and freeze foreign assets under U.S. jurisdiction. Many of the sanctions are based on United Nations and other international mandates, are multilateral in scope, and involve close cooperation with allied governments. Also see: Civil Penalties Information. U.S. Office of Textiles and Apparel (OTEXA) - Resource for exporting U.S.-made textile and apparel products. U.S. State Department: 22CFR Ch.1 - Title 22 Foreign Relations. U.S. State Department: Directorate of Defense Trade Controls (DDTC) - The DDTC, Bureau of Political-Military Affairs, in accordance with 22 U.S.C. 2778-2780 of the Arms Export Control Act (AECA) and the International Traffic in Arms Regulations (ITAR) (22 CFR Parts 120-130), is charged with controlling the export and temporary import of defense articles and defense services covered by the United States Munitions List (USML). It has among its primary missions (a) taking final action on license applications for defense trade exports and (b) handling matters related to defense trade compliance, enforcement, and reporting. Global Agricultural Trade System (GATS) - The USDA Foreign Agricultural Service's GATS includes international agricultural, fish, forest and textile products trade statistics dating from the inception of the Harmonized coding system in 1989 to present. U.S. Trade and Development Agency (USTDA) - Advances economic development and U.S. commercial interests in developing and middle income countries. UN Conference on Trade and Development (UNCTAD) - Established in 1964, UNCTAD promotes the development-friendly integration of developing countries into the world economy. UNCTAD has progressively evolved into an authoritative knowledge-based institution whose work aims to help shape current policy debates and thinking on development, with a particular focus on ensuring that domestic policies and international action are mutually supportive in bringing about sustainable development. It functions as a forum for intergovernmental deliberations, supported by discussions with experts and exchanges of experience, aimed at consensus building. It undertakes research, policy analysis and data collection for the debates of government representatives and experts. It provides technical assistance tailored to the specific requirements of developing countries, with special attention to the needs of the least developed countries and of economies in transition. United Nations Commission on International Trade Law (UNCITRAL) - The core legal body within the United Nations system in the field of international trade law. United Nations Convention on Contracts for the International Sale of Goods (CISG) - Guide to the uniform international sales law of countries that accounts for two-thirds of all world trade. United States-Mexico-Canada Agreement - Full text of the USMCA, a pending free trade agreement between Canada, Mexico, and the United States, intended to replace the current North American Free Trade Agreement (NAFTA). The USMCA is the result of the 2017-2018 renegotiation of NAFTA by its member states. The countries informally agreed to the terms on September 30, 2018 and formally agreed to the terms on October 1, 2018. USITC Interactive Tariff and Trade DataWeb - Provides international trade statistics and U.S. tariff data to the public full-time and free of charge. World Customs Organization (WCO) - The WCO develops, maintains and promotes a series of internationally agreed conventions, other instruments and best-practice approaches to achieve harmonization and simplification of customs systems and procedures. World Development Movement (WDM) - Policies of governments and companies are keeping people poor. Policies that ensure global trade benefits the rich, not the poor. The three richest men in the world are wealthier than the 48 poorest countries combined. WDM campaigns against the root causes of poverty, lobbying decision-makers to stop policies that hurt the world's poor. World Factbook - Prepared by the Central Intelligence Agency (CIA) for the use of U.S. Government officials, and the style, format, coverage, and content are designed to meet their specific requirements. World Integrated Trade Solution (WITS) - The World Bank – in collaboration with the United Nations Conference on Trade and Development (UNCTAD) and in consultation with organizations such as International Trade Center, United Nations Statistical Division (UNSD) and the World Trade Organization (WTO) – developed the WITS. This software allows users to access and retrieve information on trade and tariffs. World Trade Centers Association (WTCA) - An organization of nearly 300 World Trade Centers in almost 100 countries. World Trade Centers Complete Listing - Directory of World Trade Centers. WorldTrade Executive, Inc. - Provides legal and business information services to the international trade community. Practical strategic business intelligence and how-to guides for international business operations. World Trade Online - Worldwide coverage of the latest trade news and developments. WTO/GATT Research - World Trade Organization and General Agreement Trade and Tariff (GATT) information and research resources provided by Jeanne Rehberg, a reference librarian for international and foreign law at New York University School of Law Library. WTO: Negotiations, Implementation and Development, the Doha Agenda - A gateway to WTO information on the agenda set by the Doha Ministerial Conference. It covers the main Doha Declaration and the resulting negotiations and other work and the decision on implementation and resulting work. This webpage last updated on Monday, October 1, 2018 2:20 PM.